Volunteering, a word that can strike dread in those looking to pursue careers in conservation, ‘’not another unpaid position, what are my parents going to think!?’’. This to some may be seen as an exploitation, however in a sector which is so competitive and where experience is so highly revered volunteering can be a fantastic opportunity. I can speak about volunteering from my own personal experiences, having volunteered over the years with a number of organisations. All have been very positive and enjoyable experiences, which I have been very grateful for, they provided me with essential skills that have enabled me to work in conservation. One of the great things about volunteering is that you can seek out opportunities that you think will be most beneficial to you. For example, when I wished to learn more about the inner workings of conservation organisations I volunteered with Save the Rhino International which gave me a great insight into how a small organisation can have a great global impact. When I wanted to get more experience with practical conservation with UK wildlife, I was able to volunteer with the Environment Trust, learning first hand all manner of conservation techniques. These opportunities not only provided opportunities to learn, but also opportunities to network and prove myself and without these I am sure I would not have been able to access the educational and vocational chances that I have had. There are opportunities to volunteer across the breadth of the nation some are advertised through organisations such as the Countryside Job Service and we at AFON help to raise the profile of some opportunities through our social media and newsletter too. 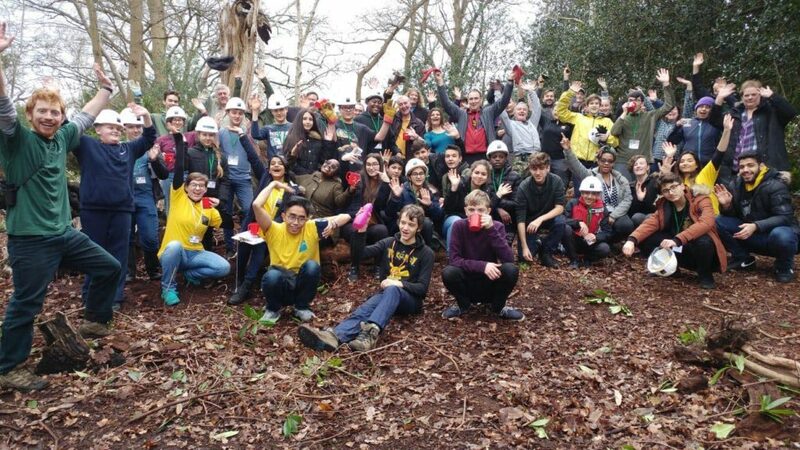 These range from practical opportunities with organisations including the Wildlife Trusts, Trees for Life and The Conservation Volunteers, as well as other administrative volunteering roles with organisations including the Zoological Society of London and don’t forget us at A Focus on Nature which is run solely by young volunteers. I would also advise a proactive approach, as there is never any harm in contacting organisations that you would like to volunteer with, enquiring to whether they have any opportunities. At AFON we are now kicking off our ‘Now for Nature’ campaign, this will showcase young people across the United Kingdom, (and further afield) who are working tirelessly to better our environment. This of course can be achieved through a multiple of ways, and volunteering enables you instantly to have a positive impact; through practical conservation days helping to restore, enhance or create habitat, or working behind the scenes to help administrative cogs turn. Alternatively, there are many opportunities to help with public facing events helping to raise either awareness or funds for conservation projects. It would be fantastic to hear from you if you are currently volunteering, so please do get in touch. So, the next time you have an opportunity to volunteer do not be quick to turn your back, consider the bigger picture. It may be frustrating to not be thrust into the world of employment straight away, though volunteering can provide an array of experiences and even when you are lucky to get a paid position you should never be afraid to volunteer. You never know the doors that it could open, the people you could meet, the skills it could provide and the things you may learn.